We thank you for choosing Pacific Sunrise Homes to be your loved one’s second home and second family. 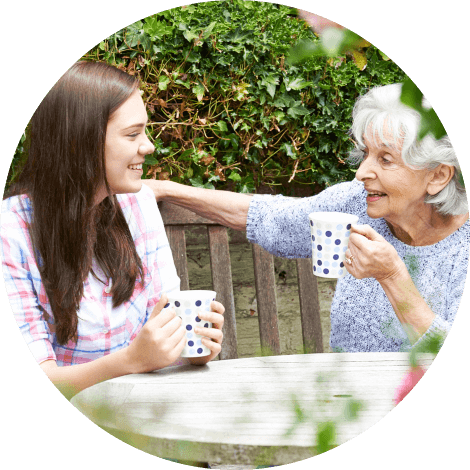 We know that we can never equal the love you have for your elderly parents but rest assured that the care we give to them will be like caring for our own kin. Pacific Sunrise Homes is a Residential Care Facility in California that houses elderly individuals who can no longer independently live in their own homes. We provide them with the accommodations, recreational activities and support services 24/7. This is how we achieve the peace of mind of our residents and that of family members too. Family members are always welcome to visit their loved ones at Pacific Sunrise Homes. Call us at 310-500-7223 to set a schedule or if you plan to place mom or dad with us, feel free to talk to our administrator for more details. Pacific Sunrise Homes hopes to open our doors for you soon. Again, thank you for your trust in our caregiving team! I found Maria and Pacific Sunrise at a critical time in our lives. I had been the primary caregiver for both of my parents for the past 7 years. They were both diagnosed with Alzheimer's. I had lived with them, and they with me. I had them in an assisted living facility that did little more than feed them. I was so lucky to find Maria and her staff, and a home where they would get personal, individual care, and they were able to share a bedroom, which was key. The staff was wonderful with helping them get moved in and settled. It was at this time that I suffered a debilitating back injury and have been unable to visit or care for them. I went from seeing them almost daily, to not at all. The staff was so good about sending me photos and texts. They would call and let me talk to them. When my father passed away, the caregiver was crying when she called me. Pacific Sunrise is a wonderfully nurturing home, and I mean a home. Mom gets personal specialized care, far beyond anything I possibly could have hoped for. Everyone there is qualified and compassionate. I thank God daily for Maria and her staff. I am very fortunate to have found them. I would like to just thank Pacific Sunrise Home Administration and team of staff for helping us with our search of an appropriate home for my parents. We were lost and thought what we were referred to by a -placement helper are all there is out there. We almost paid $25,000 upfront in an assisted living place. Maria Cantoria was very knowledgeable and seems like she knows everyone and lead us to the right people for benefits that we didn't know are available for my parents. The caregivers are all very compassionate and helpful. They all seem to be always comforting and willing to go out off their way. Food they serve are excellent and I like particularly the "buffet" family meal set ups where everyone even the staff eats with all the residents. Same with the daily activities, all staff are joining and having fun with everyone. The Admins in charge are reachable all the time via text. I've noticed they have different Admins coming almost weekly or perhaps more doing checking and on-goling training, which I have sat in couple of times. Very nice indeed to learn things I can apply to my daily life as I am aging myself. God truly answered our prayers when we found Maria, Rachel and Pacific Sunrise Homes. Our mother was not doing well when we first arrived, but due to their excellent care and love mom is doing so much better. She especially loves Rachel's cooking. The entire atmosphere at the home if filled with love. Gerald, Joel and Angel show great compassion when caring for mom and others in the home. I visit quite often and have come to know these amazing caregivers and count them as family. Rachel is so amazing in what she does that I feel completely comfortable when I can't be there and know mom is in good hands. Mom loves to hear their beautiful voices when they sing karaoke. My sister and I visited several other places before God sent us to Pacific Sunrise. We were devastated at what we saw at the other places. When we first walked into Pacific Sunrise, we knew we had found a new home for our mother. Thank you all for your kind hearts. Thank you Maria for having the insight to create these homes. Thank you Rachel for all you do, for your love and caring and, most especially, for your friendship to our family. We love you. My 95 year old aunt, Jo, is in the late stages of Alzheimer's. Prior to moving to Pacific Sunrise Homes, she was a resident in a memory care unit at a high end nearby facility with an excellent reputation. Long story short, after her needs increased (she lost her mobility), this facility told us that she required an individual caregiver around the clock and that we had to use their staff at a really high hourly rate in addition to their monthly fee. Other than her Alzheimer's, my aunt is in good physical health so she could easily have outlived her savings at that rate. My aunt's nurse practitioner recommended Maria's company. We visited two of her Board-n-Care homes in Rancho Palos Verdes and were impressed with the atmosphere, accommodations, and the residents seemed happy, secure, and well cared for. We were also impressed after talking to the owner, Maria, who is knowledgeable, dedicated, compassionate towards the elderly, and very hands on. Luckily, a spot had just opened at the Beechfield home and my aunt was moved and settled in literally overnight by Maria's staff. It's been two months since Aunt Jo was moved to Pacific Sunrise Homes and she has received wonderful family style care and concern from Noel and the other great caregivers at the Beechfield home. While the staff at her former facility were good and it was a lovely place, the larger facilities cannot provide the kind of personalized attention and care that the BnC homes can. It feels very warm and homey and my aunt is well taken care of and seems to be responding. For example, while her primary care doctor did not expect her to ever be able to stand on her own again, one recent morning, she did just that! Noel and Maria are great about keeping family members informed and up to date about Jo's status and texting or emailing pictures on a regular basis since most family members live far away from my aunt and are unable to visit. We are very happy with and grateful to Maria, Noel, and the rest of the wonderful Pacific Sunrise Homes staff for their exceptional work and from-the-heart care services. Highly recommend. My father had stage 5 Parkinson’s disease and after a 2 month stay in the hospital for dehydration and an infection that went septic, was given only a month or so to live. He required 24 hour care and it was too costly and impractical for my elderly mother to host a “mini hospital” in their home for the next month or so. A Nursing Home could not provide the quality of care my father deserved and required. We had heard about board and care facilities through a caregiver support group at TMMH. Maria Cantoria’s facilities were repeatedly recommended – (and highly regarded) – by several nurses, caregivers and hospital staff. My mother and I toured three of her locations, quickly realizing why her facilities and staff were highly recommended. The staff greeted us as friends/ family, rather than prospective clients. Each of the properties were clean, organized and looked and smelled like our own home. Some residents of the properties smiled, some waved hello and others spoke to us about their lifestyle. Bingo, television, movies, yoga, daily exercise/walking, cleanliness and good food were all mentioned. Although my father would likely not be able to participate in these activities, it assured us that it was a great environment. We selected the Redbeam property, as it had a private room available, to afford him the privacy he would likely need. Within a few days of arriving, we had a family meeting between the staff, his doctor and nurses to create a plan of care. It was so calming to know everyone was part of the team and knew the integral role they played in his comfort and care. Maria, Luz, Beth, Rachel and Esmerelda were attentive, professional, upbeat and positive as they cooked and cared for the residents. The food smelled like home cooking, and my mother, siblings and I were encouraged to join the household for food whenever we wanted. The food tasted great made with quality fruits, vegetables and meats. Each of the prepared dishes were packed with nutrition, protein, low sugar (no fake substitutes) and tastiness. As people age, they tend to eat less, so it was so reassuring to see that Maria and her staff went the extra mile, making each bite abundant with nutritional calories. My father had special dietary requirements needing blended food and thickened water to reduce the likelihood of choking, which was easily accommodated. They helped him eat and drink, watching closely to maintain his safety. Our family had two caregivers that helped my father part time each day, for over two years. When they visited him each day, they too were impressed with the staff and level of service provided in his final days. As the end neared, the staff gave him a sponge bath daily, assured he was turned every two hours, and received his needed medicines each day. Clothing, sheets and linens were checked regularly and immediately replaced when soiled or damp/wet. They talked to him, even when he could respond with only a nod. Rachel, in the evenings would sing to him, as she cared for him, referring to him as Papa, which brought smiles, open eyes and happiness to his diminished lifestyle. I was updated regularly if a family member was not present for more than a few hours. They made our unpleasant eventuality, somewhat bearable. My father passed peacefully and without suffering one Wednesday afternoon. In the aftermath they were so sympathetic and helpful in our time of grief. On behalf of my family, thank you for your outstanding service and compassion. You will always have a place in our hearts and minds. 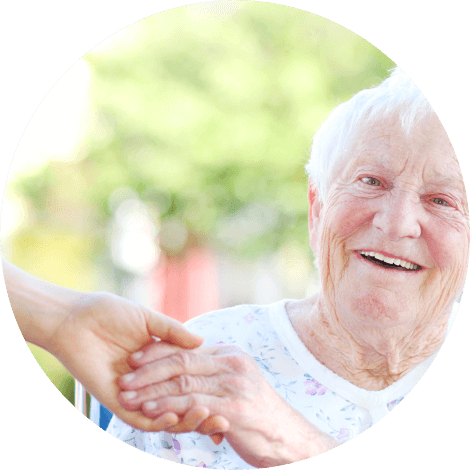 At Sunrise, we provide individualized senior care in a safe and nurturing environment. To whom it may concern, My mother is Jeanne Pace and she moved into the Pacific Sunrise Home in July 2016. We cannot be any more pleased with the care and treatment she is receiving there. My mother has Multiple Sclerosis and as a result has no mobility. These caregivers are able to transfer her in and out of her wheelchair to bathe her, bring her to the dining room table, help her in and out of cars when we take her out and put her to bed. They do these things with dignity and respect. My mother loves the food there. It always smells like a home cooked meal when I visit. And they have helped her make healthier choices with nutrition and sleeping habits. And she is always cleans and nicely dressed. I appreciate the social activities that keep my mom engaged and active (luau, Christmas party, entertainers, ukulele music, classic movies, game shows, kereoke, chair exercises, and weekly holy communion). I am grateful to our caregivers, Maria and Irma, and to the owner, Maria, for their discretion and compassion everyday. Staff members all deserve a year end bonus. They are just like family to mom. And the food is excellent! I and my sister are so relieved that she's in a good place. Bertha is so much better at your home than she was at the rehab. And...Happy New Year too! As a social worker of 10 years, I have visited countless board and care homes and facilities throughout the LA area. I must say that Pacific Sunrise is at the top of my list. The staff not only understand the medical aspects of care, but also are in tune with the psychosocial dynamics of the patient and their families. As a scoial worker, this is very important to me. I would recommend Pacific sunrise for anyone who has a loved one in need of placement. Pacific Sunrise Home offers a home away from home for our mother, who suffers from Alzheimer's disease. There is a family type atmosphere, lots of birthday and holiday celebrations, singing and dancing and happy caregivers. We are encouraged to drop in when ever we want. We appreciate the care and personal attention of Rachel, from keeping us informed and photos to the little things such as applying make-up to mom. We are all one big happy family. Rachel, Jerald, and Joel are very helpful to our staff in St. Liz Hospice. I come to visit my patients several times a week and the staff are very attentive and they are always on the bedside every time I do my patient care. Rachel is very knowledgeable when it comes to medication administration and prompt in reporting on any significant changes to my patients. Jerald and Joel are kind and caring to the residents and they are quick in responding when the residents need something. They are very compassionate and loving to the residents and their family. I highly recommend this facility to your love ones that needs tender loving care. Kudos to the great team in Pacific Sunrise Home II! 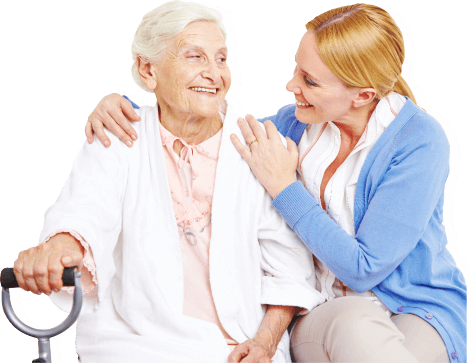 Our company provide hospice care to individual that needs it.I represent my company in providing this services as an HHA . Providing excellent services to my patient is my ultimate goal. I am confident that with the assistance of the efficient Pacific Sunrise personnel l have been successful in achieving my goal .Thank you Pacific Sunrise Personnel,May your tribe increase !! Our company provide hospice care to individual that needs it .I represent my company in providing this services as an HHA . Providing excellent service to my patient is my ultimate goal. I am confident that with the assistance of the efficient pacific sunrise personnel.I have been successful in achieving my goal.thank you pacific sunrise personnel, may your tribe increase!! Aww dear Kim, Thank you for your warm heartfelt testimonial. This means a lot to me and my staff. Your mom is a blessing to all of us as well! We adore and love her! Words cannot express how thankful we are to have been referred to Pacific Sunrise Home in Rancho Palos Verdes. My mother has struggled with Parkinson's Disease and Dementia and has had numerous falls prior to moving to Pacific Sunrise. Since she has moved, she has had no falls, no longer is in pain and consistently tells me how much she loves the food. The environment is warm and friendly and extremely positive. I highly recommend this wonderful home. 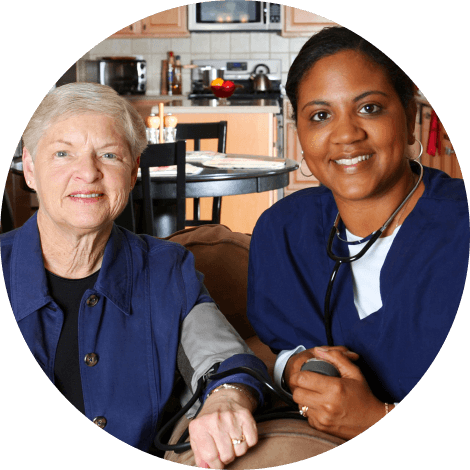 Pacific Sunrise Care facilities are a cozy home environment nestled in the South Bay area. It is always convenient to check in on and visit with my mother in law. The workers are warm & friendly and take very good care of their clients. I highly recommend it! Congratulations to Pacific Sunrise Home CARE TEAM! You guys really stepped up the past 10 days I was gone. I'm blessed indeed to have compassionate staff who are treating all our clients/residents like your own love ones. Pls keep up good works and GOD Bless! Dear Maria, Thank you very much! Words are not enough! WIthout your intervention thru your amazing team of staff: Jorn, Jocelyn and Esemeralda, I.m not sure we could have made it. We will stay in touch and surely highly recommend you and your company. Pls. Keep up the good work! Thanks Isabel...God Bless you and your love ones! I would like you to give my contact info to whoever wants to know about my experiences with your company, particularly Verve Inc. at Adorable Home V. Words are not enough to express my gratitude. All I can say simply and short "YOU ARE A BLESSING FROM HEAVEN!" Pls. keep up the good work! I LOVE YOUR WEBSITE ESPLY THE GALLERY OR PICTURES AND VIDEOS. 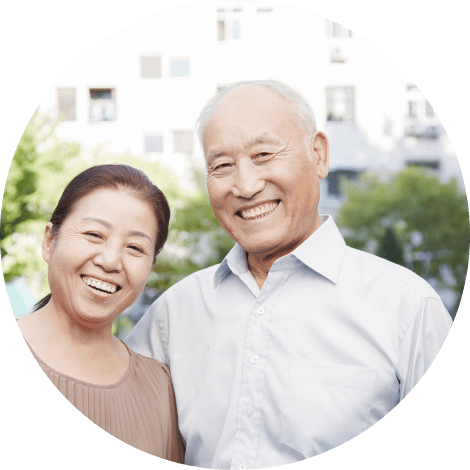 Pacific Sunrise Homes commits to giving the elderly the choices they are entitled to when it comes to living their lives and exercising their level best independence. Our job as caregivers is to be there when assistance is needed. At our senior care home, we offer the 24/7 support that many elderly individuals lack in their own homes. Fortunately, in our home, companionship and care are provided with the utmost competence and compassion.